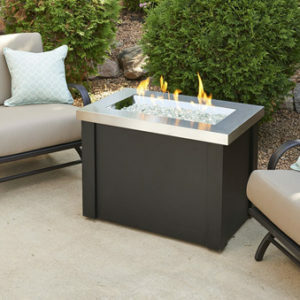 This is a new size to our vintage gas fire pit collection. 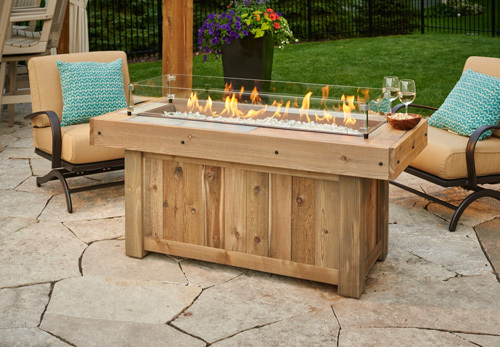 Table top is a faux wood tile with a honey glow brown 80,000 BTU burner. The base is made from a distressed pickled cedar which creates a Key West vibe. Enjoy the evening with family, friends and laughter.